​In 1949, Paul Hiltz received a US patent for a hygrometer design that used the hygroscopic properties of a goldbeater's skin membrane to measure relative humidity. Goldbeater's skin is made from cow intestine. The patent was assigned to Serdex, Inc of Boston, Massachusetts. 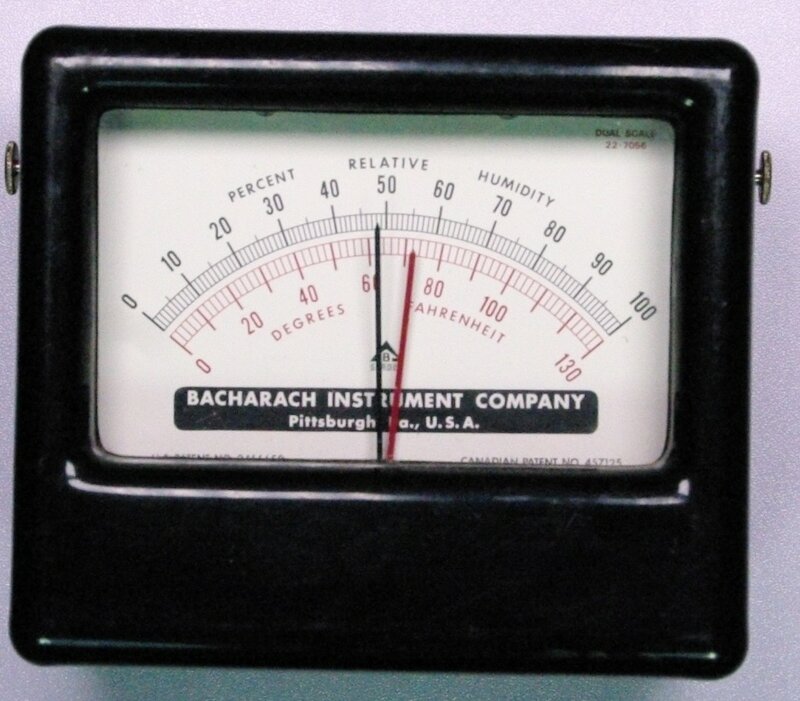 Bacharach made this thermohygrometer under the Serdex patent. I'm not sure of the date, I suspect the 1960s. It includes a bimetallic thermometer. The meter face is about 3.75 inches wide. It still works well. Catalog page cut for Bacharach/Serdex hygrometers.